One of America’s best-loved folktales is that of Johnny Appleseed, a pioneer apple farmer who lived in the 1800's. Unlike many folktales, the story of Johnny Appleseed is based on the life of a real person. His real name was John Chapman and he was born on September 26, 1774, in Leominster, Massachusetts. During Chapman's life, the West included places like Ohio, Michigan, Indiana, and Illinois. As he traveled west, Chapman, often depicted as a barefoot traveler wearing threadbare clothes and a tin pot on his head and carrying a bag of apple seeds, planted apple trees along the way. By law, a homesteader could lay claim to land by developing a permanent homestead. Chapman did so by planting apple trees. After they grew into a mature apple orchard, he sold the land and its trees to settlers. With every apple tree that was planted, the legend grew. The life of Johhny Appleseed offers plenty of activities you can do with your students. 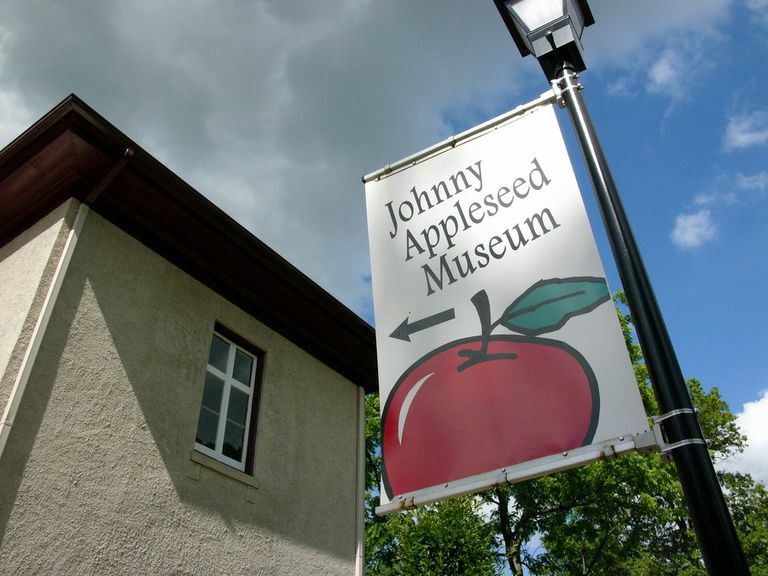 There's even a Johnny Appleseed museum in Urbana, Ohio, which also operates a website offering plenty of great information about this American folk hero. 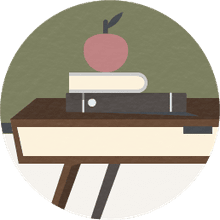 You can also enjoy exploring the life and contributions of Johnny Appleseed with your students using the following free printables. Introduce your students to Johnny Appleseed with this vocabulary activity. Students will match each of the 10 words from the word bank with the appropriate definition. It’s a perfect way for them to learn key terms associated with Chapman. In this activity, students will locate 10 words commonly associated with Johnny Appleseed among the jumbled letters of the puzzle. Use the activity to discover what they already know about the folk hero and spark discussion about the terms with which they're unfamiliar. Invite your students to learn more about Johnny Appleseed by matchingeach clue with the appropriate term in this fun crossword puzzle. Each key term has been included in a word bank to make the activity accessible for younger students. This multiple-choice challenge will test your student's knowledge of the facts related to Johnny Appleseed. Let your child practice his research skills by investigating at your local library or on the internet to discover the answers to questions about which he's unsure. Elementary-age students can practice their alphabetizing skills with this printable activity. They'll place the words associated with Johnny Appleseed in alphabetical order. Young students can draw a picture of Johnny Appleseed and write a short sentence about this American folk hero. Alternately, provide students with a picture of an apple (or even a real apple). Have them draw it and write about how Chapman helped popularize this fruit throughout colonial America. Prepare this tic-tac-toe activity ahead of time by cutting the pieces off at the dotted line and then cutting the playing pieces apart or have older children do this themselves. Then, have fun playing Johnny Appleseed tic-tac-toe with your students. Young students can color this picture of apple trees. Explain to students that Chapman accumulated more cash than he needed by selling his apple trees and tracts of land. He never used banks and relied instead on an elaborate system of burying his money. He actually preferred to barter and trade food or clothing rather than collect money for his trees. Print the pdf: Apple Theme Paper. Have students write a story, poem or essay about Johnny Appleseed on a separate sheet of paper. Then tell them to neatly write their final draft on this apple theme paper. Children will love putting together this tree puzzle. Have them cut out the pieces, mix them up and then put them back together. Explain to students that in his journeys, Chapman created numerous nurseries by carefully selecting the perfect planting spot, fencing it in with fallen trees and logs, bushes and vines, sowing the seeds and returning at regular intervals to repair the fence, tend the ground and sell the trees.